Neil Young News: Neil Young's Upcoming Tel-Aviv, Israel Concert: "Don't Feel Like Satan But I Am To Them"
Neil Young's Upcoming Tel-Aviv, Israel Concert: "Don't Feel Like Satan But I Am To Them"
Tension regarding Neil Young's upcoming Tel-Aviv, Israel concert has been building for sometime now. With Neil Young & Crazy Horse's tour kicking off next week, and the Tel-Aviv, Israel concert on July 17 approaching, we are finally addressing the underlying issues. And what better time as we in the U.S.A. -- land of the free and home of the brave -- celebrate our independence from the British Empire and bowing to The Queen. 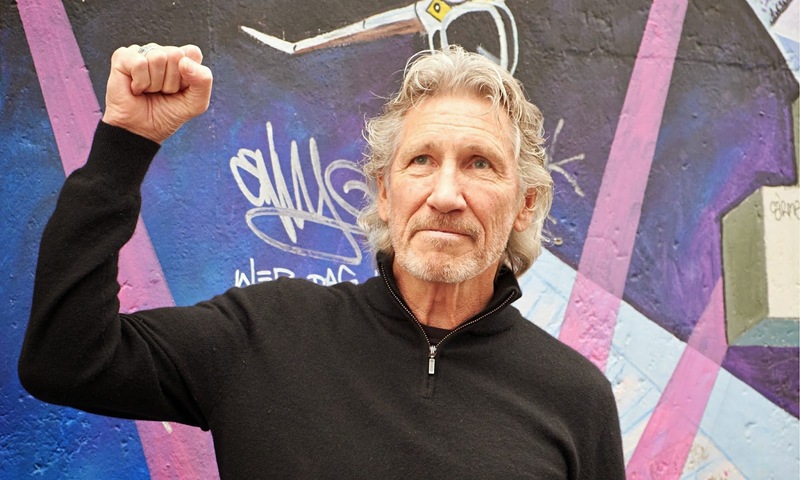 Earlier this year, Pink Floyd's Roger Waters, wrote a post citing Neil Young's scheduled Israel concert and requested that Neil reconsider and cancel. Neil? I shall ponder all of this long and hard. We don't really know each other, but, you were always one of my heroes, I am confused. Since then, the boycotts, divestment and sanctions movement (BDSmovement.net) has been applying pressure to artists like Rolling Stones and Neil Young to cancel their Israel concerts. But what about Roger Waters, BDS and others point of view on the subject? Does boycotting Israeli concerts make sense or is it effective? 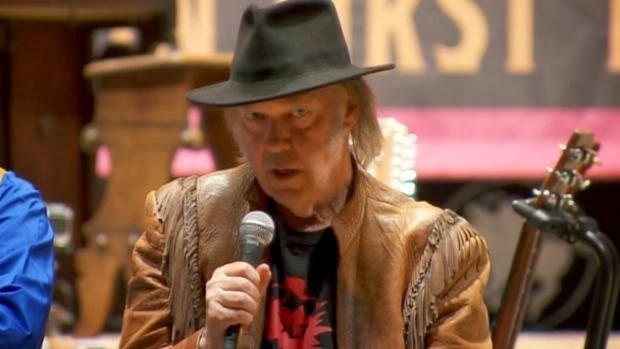 In January 2014, Neil Young's "Honor The Treaties" concert tour supported the Athabasca Chipewyan First Nation's battle against the Alberta Tar Sands holocaust which is seen as "comparable to Hiroshima". So we ask, should Neil have boycotted Canada because of their Alberta Tar Sands projects? Neil Young’s ‘Honour the Treaties’ tour has raised controversy within the political, public and media sphere. Young has demonstrated the power that fame can have in raising awareness about environmental issues. The media and the internet have indeed played a significant role in sparking conversation and providing a platform to share opinions. It is evident that people are standing on either ends of the argument, or in some cases in the middle. What action could be taken once conversation and awareness had been ignited? In other words, the tour has demonstrated an array of opinions concerning the oil sands, yet how does the tour contribute to our understanding of the Alberta oil sands, what is discussed once awareness has been raised? As mentioned the tour has indeed raised knowledge of current events and as Young stated it has “succeeded in getting Canadians talking.” This could definitely be considered a positive aspect, for the issue of the Alberta tar sands is still not known by many people. Yet, there are a number of people who know Neil Young for he is a musical artist. A tour is a great way to spread ideas, especially in the current technology setting of the 21st century. The internet has allowed for the sharing of ideas and information to countless people, across vast areas and with great haste. This allows for the effortless sharing of information which can be used as a tool to raise awareness of current issues to people who may otherwise be oblivious to. Young has demonstrated a technique that has been used by many before, just consider the sixties! Music is a powerful tool as shown by peace movements during the Vietnam War. Music has the power to share and discuss issues and perhaps even the potential to spark a revolution. When such ideas are applied to the internet sphere there is far, far greater potential to highlight and discuss these issues. 3) those that feel that performing in Israel has nothing to do with Israel/U.S. foreign policy, could care less, see it as just another random tour date, it's all about the music and is perfectly OK.
Obviously, everyone buying the tickets fall into categories #1 and #3. Performing in Israel would make a travesty of everything Neil has apparently stood for in supporting the underdog against cruel and violent power. Lets urge him to rethink. Neil played 2 gigs in Israel with Pearl Jam in 1995, so the debate on whether to play there or not, ended in 1995. I was very disappointed when Neil performed in Israel in 1995. Of course he can play wherever he wants, but I am surprised that he wouldn't refuse to play in an Apartheid state as many renowned artists have (Elvis Costello, Brian Eno, Stevie Wonder, Pixies, Roger Waters, etc etc). 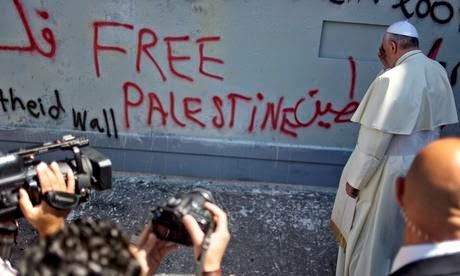 Both Jimmy Carter and Desmond Tutu have described the restrictions on Palestinians in Israel as a form of Apartheid. In fact, Desmond Tutu is on record as saying that the situation in the Occupied Territories is worse than it was in South Africa. BTW, it is not Antisemitic to call for a boycott, which is directed at a particular government and not at Jewish people in general. Many prominent people have endorsed the boycott campaign (including Jewish people), especially in response to Israel ignoring numerous UN resolutions forbidding new settlements in areas where Palestinians live. If we held all governments (including UK and US) to the same standards we hold the Israeli government, the boycott list wouldn't be limited just to Israel. Grant it, Israeli government have some work to do in resolving the settlement, but Neil is not playing to the government, he's playing for the people in Israel. Seems to me the UK has some unresolved land issues and associated violence of their own that they've been ignoring for some time. Let's talk about that dirty little apartheid secret in No. Ireland. I understand that both Elvis and Bono have no problem playing for the Queen and her family. It really amazes me how people speak about ''israel apartheit''. Clearly they have never been in israel! I am living in israel for almost two years now because of work reasons. I am not even jewish. You should come and see how many arabs (or other non jewish as well) are living in israel with exactly the same rights as jewish people, they all get to vote and receive the same benefits as everyone. And what evere musician to come to israel to perform, is performing for everyone! jewish, arabs, christians, african refugees and who ever wants to go to the show. So if you people want to criticise something, you should know first what you are talking about. @05:33:00 AM: Many people support the boycott precisely because they have been to Israel and witnessed first-hand how Palestinians are treated. I'm glad you had a good time there, but your own experience is not shared by everyone. Those of us who support the boycott can only try to make people aware of the facts, as Neil has said about the oil sands, and let people make up their own minds. Unfortunately, Western news media are very biased when it comes to reporting on Israel and the Middle East in general, so most people have a very distorted view. In fact, there is more vigorous debate in Israel itself about the plight of Palestinians than there in the US. So easy to criticize Israel! It's allowed and even blessed! Instead of supporting the only democratic state in the area,! So superficial understanding of what's going on there! Learn first, read more and not only mainstream. You are manipulated by media and your opinions are not yours but those of who is manipulating you. Nelson Mandela was not anti-white and opposing the Israeli racist state is not anti-semitic. It is a state based on institutionalised violence against a powerless people denied basic human rights in their own country on the basis of their ethnicity. To his enormous credit Neil bravely and publicly opposed the wanton violence against the people of Iraq. When the Palestinians in Gaza were targeted by Israel with phosphorous bombs in 2009, were they less worthy of his compassion? Israel’s occupation of Palestine is deemed illegal by the UN yet the settlements are expanding. I’ve always found Neil’s fans intelligent, enquiring and compassionate. Please support the campaign to get westerm artists to stop giving credibility to this brutal racist state. From Kent State to Gaza – its all one struggle. Palestinian civil society have asked artists to boycott Israel as a form of peaceful protest against the ongoing ethnic cleansing (and all the associated abuses), unless their visit is of the form of a protest supporting Palestinian rights. Palestine put their own human rights in jeopardy by allowing radical fundamental terrorists sacrificing their own people to religious fanaticism. Any boycott is promoting martyrdom of innocents. I'm so glad Neil "HaKadosh" Young plays again in Israel, thus giving a chance to people from all ethnic backgrounds to see an old fashioned rock show! Calling Israel "Apartheit" is either disrespecting the suffering of black South Africans or grabbing any chance to to blackmail the Jewish State! I look forward to seeing the show myself, 'cause I boycott the boycott!!! Good for Neil to play in Israel, a modern, diverse, tolerant, peace-seeking nation and loyal American and Canadian ally. Yes, Israel-haters are quick to invoke apartheid (and genocide, racism, colonialism and every other charged word), but none fit here. Why? In apartheid S. Africa, a 20% white minority oppressed an 80% black majority. In Israel, and 80% Jewish majority protects the rights of a 20% Arab minority. In S. Africa, discrimination and segregation were mandatory. In Israel, they are prohibited. Israel's Arab citizens serve in its parliament and on its Supreme Court. When polled, 95% would prefer to remain in Israel than to live in a Palestinian state. Invoking apartheid betrays the anti-Israel front's utter insensitivity to those who have truly suffered from apartheid regimes, whether S. Africa's former racial apartheid, or the Arab world's current gender apartheid. Guys, there's a reason that overwhelming majorities of Americans and Canadians support our ally Israel. It is far from perfect (like us), but is handling its daunting challenges with fairness and courage. They surely deserve a great Neil show. Join in solidarity Neil and cancel the gig in Israel and write the modern equivalent of 'I ain't gonna play Sun City' You could do some real good that way and I'll keep your beloved records. Very disappointing, I hope Neil reconsiders. Any of us who've lived in the West Bank and Gaza know just how tough it is - and see the boycott as the best way to move the conflict towards resolution. Neil's well-placed to make a statement that could help in this regard. Instead he's buying the line of a slick PR machine, as if Israeli authorities were treating Palestinians in Israel or the West Bank and Gaza the way they'd wish to be treated. I thought you 'don't sing for nobody' Neil, but to those of us who've seen what's going on now you look like a joke. Legitimising brutal ocupation. 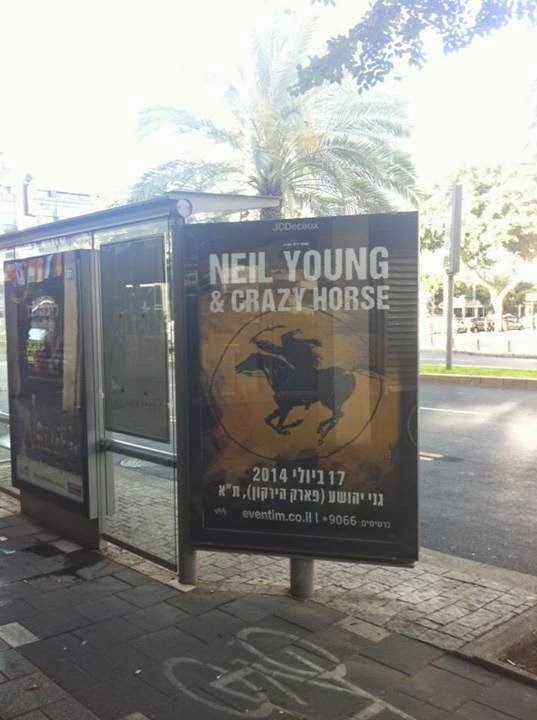 I hope Neil Young does some research and reconsiders the stop in Israel. There is nothing anti-semetic about boycotting the occupation policies of a government over millions of people in the occupied territories. This has nothing to do with Israel proper, nor with Jewish people. I wish for Jewish people to have peace in Israel, but for too long the government of Israel has continued policies to expand settlements (colonies) on Palestinian land, and ultimately Palestine will be "wiped off the map". Playing in 1995 was one thing, at least at that time there was still hope for a Palestinian state. If Neil Young took an objective look at the state of things right now his only logical course of action would be to boycott. Well Well...I will go to the show as I have done for Rolling Stones. There are many peace lovers in Israel who deserve this. My father had to leave Lybia because he was a jew and lost all he had. Jews were in Lybia way before Islam. Many jews that live today in Israel come from muslim countries who forced them to leave. Its very easy and not fair to blame Israel. I dont like colonies and occupation too, but the responsability for the actual condition of the Palestinian brothers is in large part of their own leaders and muslim allies. This is what Roger Waters and all the others dont understand. Instead of developing dialogue, they build mental walls. By the way also in Europe since 2000 years and more there is not too much love for jews. I think we deserve a little thiny piece of land where we can stay in peace love and freedom...and why not? enjoy a rock concert without anyone pointing the finger at us. The illegal expansionist activities of the Zionist settler State in Israel should not be confused with Judaism. The two are not synonymous as other contributors above have implied. Other contributors have also disingenuously referenced the Biblical imperative in an attempt to justify Israel's continued illegal theft of Palestinian land as if God is somehow the Great Real Estate Agent in the sky. It's rather like claiming modern day Italian's have the right to the deeds of my property and land here in London on the basis that at some point in ancient history the Romans had settled in Londinium. The truth is the international community is clear in its determination that Israel's continued illegal settlement programme constitutes a violation of the Fourth Geneva Convention to which Israel is a signatory. If Neil is genuine in his desire to support the oppressed people's of the world in their quest for humanitarian justice, then he must reconsider his decision to perform in Tel Aviv. War is being perpetrated daily on the Palestinian people by the Israel Offence Force under the auspices of Zionist extremist fanatics in the Knesset which is being funded to a large extent by the U.S tax paying public. The expansionist rogue settler State illegally occupies Palestinian land and has breached more UN Security Council Resolutions than all of the nations of the world combined. Next month Neil Young and Crazy Horse are due to perform a concert in the Israeli city of Tel Aviv. This is the contemporary Israeli equivalent of apartheid South Africa's Sun City. Neil Young, his advisers or both are badly informed of the situation in Israel/Palestine. By playing Israel, Neil is making a serious error of judgement. I have been a Neil fan since 1972. I think what you are talking about is a form of international sanctions. International sanctions have been utilized for as long as international wars have begun. But what do they really do? Wake up the people? Maybe, I don't know. The real people in power have the means so sanctions never really effect them unless the people rise up against their own nation. I do know war continues and how long has that war been going on? Don't you think people (musicians and such) can do more by going over there? I would think Neil is being advised on this situation and has a strong opinion. This is just MHO. I believe music itself breaks down barriers and as a Canadian of your generation who loves your songs, I'm reluctantly joining a variety of voices in Canada, the Middle East and across the globe asking you to cancel your concert in Israel this summer. (with another suggestion if you can't see fit to do so). between the Crown and some of Canada’s Indigenous peoples. I also found it surprising to see you on the verge of providing the State of Israel a public relations message that distracts from its crimes against the Indigenous Palestinian people. As you are aware your concert in Israel might be perceived as contributing to the suffering of Palestinians by tacitly enabling the Israeli government to continue its ongoing occupation and theft of Indigenous lands, as well as its violence and oppression towards the Palestinian people. Nazis in W.W. II. The creation of Israel pursuant to the genocide of over 6 million Jews, mothers, fathers, daughters, sons, grandparents... will never make up for the pain and suffering of what happened then, or the effects on the generations that followed (including Palestinians)and are yet to come. However, I suspect you understand deeply, as any artist would, that what happened in the Holocaust cannot justify the state sanctioned treatment of Palestinians since. Perhaps this is your moment to create hope where there has been none through your music. I cannot speak or act on your behalf. But as a person of conscience and as a man who speaks TRUTH THROUGH MUSIC, I believe you will find a way to HELP MAKE PEACE BETWEEN NEIGHBOURS WHO HAVE SUFFERED SO MUCH. Although cancelling the concert in Israel would make the kind of statement to both Israel and the world in keeping with what I believe are your existing values, it may not be the only way if you are truly committed to the PATH OF PEACE AND RECONCILIATION THAT IS SORELY NEEDED IN THIS PART OF THE WORLD AND ELSEWHERE. Will you take the lead by standing on the side of history that supports the rights of Indigenous peoples in Palestine, just as you did for the Indigenous peoples of Canada? discrimination and segregation in the lands of their forefathers, as musicians have done before you in similar circumstances. I ask you to find a way to make your presence in Israel A TOP NEWS STORY that serves the cause of justice and human rights in a major way, with a major symbolic statement seen the world over. When the great American singer and pathfinder Paul Robeson couldn't leave the U.S., barred by the State Department for left-wing activities, he sang on the back of a pick up truck to 40,000 Canadian workers in 1952 - at what became known as the Peace Arch Concerts, organised by my dad's union, the International Union of Mine, Mill and Smelter Workers, or Mine Mill. Paul was known for such gestures and often made his music available for free to those who couldn't usually afford it. You could do something just as historically significant (or more so) given your time and place in history. Will you support human rights and social justice by cancelling your concert in Israel and/or by organising a statement with your music that will be "The Rock of Ages" that truly begins a peace and reconciliation process in the area??????? May peace, mercy and goodness follow wherever you lead. So we conclude where we started. If the "Honor The Treaties" tour objective was to get Canadians talking about Tar Sands -- and was a total success -- then we have the same opinion on Neil Young's upcoming Tel-Aviv, Israel Concert. p.s. - Happy Independence Day here in the U.S.A. -- land of the free and home of the brave -- as we say: Freedom ... For What It's Worth . I thought Roger Waters was a DB when he walked away from the Floyd. I thought his many re-workings, re-packagings, re-marketings of his "Magnum opus" aka "The Wall", was a cash grab. I thought the tour to support The Wall was an over the top, over-hyped, over priced rip-off. Now this confirms what I thought to be so, he is an egotistical, opinionated douche. who is he, or anyone, to say what is right or wrong with where a FELLOW musician chooses to perform (or not)? I really thought there was a glimmer of hope that I've been wrong about Waters when he showed up @ Live 8 with the (then)remaining members of Floyd. It's over, Roger. Take yer ball & go home! I can't imagine Neil would cancel a show, a tour stop, to avoid controversy. In fact I think he would embrace it. prob be one of his best! happy 4th of July. This house is only one on street and almost only one in neighborhood flying Old Glory. Long may she wave. Joey Jaws Chestnut goes for another Coney Island title today. When it comes to gluttonous pigs who cant cram food in fast enough San Jose cant be beat! Go Jaws. Tour is getting close. wish I were there somewhere. I think a fair compromise would be if Neil did the show but did specifically go out to raise attention about how fucked-up Israel is like he did with "Honour the Treaties"
I honestly think Neil should go ahead with the gig precisely because of the injustice and insanity of the Israeli/Palestinian conflict. He hasn't shied away from uncomfortable subjects in front of less than receptive audiences in the past (Living With War anyone?) and this would be a perfect opportunity to remind people on both sides of the need for humanity. How can you not think of a song like "Ohio" when you see the news stories from the past few days about the teenagers from both sides killed or beaten to a pulp? It's too bad he can't also play Palestine and really show an impartial support for peace regardless of what side you're on (but I don't imagine it's in any way easy to set up a large rock gig in Palestine). The Israeli government/military is a travesty and Hamas are no better but I really doubt that most Israelis or Palestinians see each other as the devil much like in Northern Ireland, most people were just sick of the bloodshed and wasted lives. Instead of inviting more sanctions, use events like this as a platform to express the anger at the violence and to promote discourse and agreement. Northern Ireland is a completely different place today thanks to the work towards compromise and away from violence. I think Israel and Palestine are a long way from there but it has to be baby steps all the way. This could be a baby step in the right direction if a few people in the audience seriously think "What if I knew her and found her dead on the ground?" It is very difficult to build and sustain a reputation as a great artist. It is easy to destroy it. History can remember people for the wrong reason. You don’t need the money and the Palestinians have asked you not to perform. Therefore playing for Apartheid is an act of political aggression. Just look at how the supporters of Israeli genocide are trumpeting you as a trophy. Are you not ashamed to be a tool of fascists? You clearly have a rapport with European culture but perhaps you don’t understand it. This is the continent of the Enlightenment. What North Americans regard as sincerity often appears to us as plastic and phony. We are left wondering what your support of indigenous peoples actually amounts to. There is massive support for the Palestinians by ordinary people in Europe. If you retain the Israeli racist state in your tour schedule you risk your European concerts being picketed by anti-racists and anti-fascists. Will you be playing Southern Man? Your freedom to perform where you want is beside the point. Here’s an idea: if its not about the money, why not relocate the event to the West Bank or Gaza, and make the Israelis who want to attend pass through Palestinian checkpoints? What about founding a new Artists Against Apartheid? Why not be known for writing a song opposing these vile racists and their US sponsors rather than being their stooge? After re-reading the poll choices i think (if I'm reading them correctly) it leaves out an important choice, and it creates a typical poll bias ('i.e.' implicitly, unfairly validates the poll author's views) ... we all deserve to have our own views right? I mean its a free country here and we all believe in free speech. As such I'm kind of surprised by how the (informal) poll was created since the underlying premise is that Israel (and as suggested America) is wrong and the Palestinians are right ... and hence the only question is whether Neil's playing there is related or can one separate the show from the politics ... as such, there is no option that allows a reader to reject that premise. The poll title itself is asking if the concert is OK or Not? On trips to Europe, Ali-Selah said that people she met were surprised to learn that Israeli Arabs studied engineering and medicine in Israel, and that they lived among Jews. This lack of awareness helps the BDS Movement win misguided supporters. Boycotters like Roger Waters repeat a falsehood -- that Israel is an apartheid state -- and deny a fundamental truth: Arabs, in particular Arab women, have more freedom, liberties and academic opportunities in Israel than in any Arab country. Yes, they do. Neil Young has claimed copyright infringement forcing Youtube to remove my video entitled "Neil Young - Honour the Boycott" criticizing Neil's scheduled concert in Israel on July 17. The censored youtube link now leads to a blank video with the statement "This video is no longer available due to a copyright claim by Neil Young." The censored video - NOW AVAILABLE ON VIMEO - legally incorporates clips of a speech Neil made about his support of the "people of the earth" on the basis of "Fair Use" and strictly follows the "Online Video Best Practices for Fair Use" that is linked from the Youtube Fair Use page. Neil Young is a hero to many of us progressives especially for his courageous support of indigenous people in their fight against the Tar Sands and the Keystone XL pipeline. But if Neil entertains and whitewashes Apartheid Israel, I and many other people will see him as a Disposable Hero of Hypocrisy. A growing list of progressive musicians are honouring the cultural boycott and refusing to “musicwash” Israel... Last week renowned NY rapper Talib Kweli cancelled his gig in Israel to show "solidarity with Palestinians" so it's not tool late for Neil to take a stand. To quote Neil back to Neil: this is your defining moment, you can take a stand on the right side of history or you can make a few bucks… and sell out to Israeli Apartheid. Thanks Dan for comments. sincerely. Regarding the poll questions, yes, they aren't perfect, for sure. Just trying to get a pulse here. Of course the poll will be skewed here anyways we suppose. Thanks for creating a venue for sincere dialog! The U.S. government shot four college kids dead...you might of heard..Neil wrote a song about it. He didn't stop playing in the U.S. When Neil disagreed with the war in Iraq/Afgahnastan he didn't quit playing the U.S....he put an album out and went on tour. If Arabs feel disrespected because Neil is playing in Israel...they shouldn't. Protesters outside the Cork show tonight. Now many but not happy with the Tel Aviv gig.